Fido Finder (fidofinder.com) is a lost and found dog website. Fido Finder helps to connect lost dog finders with their owners. 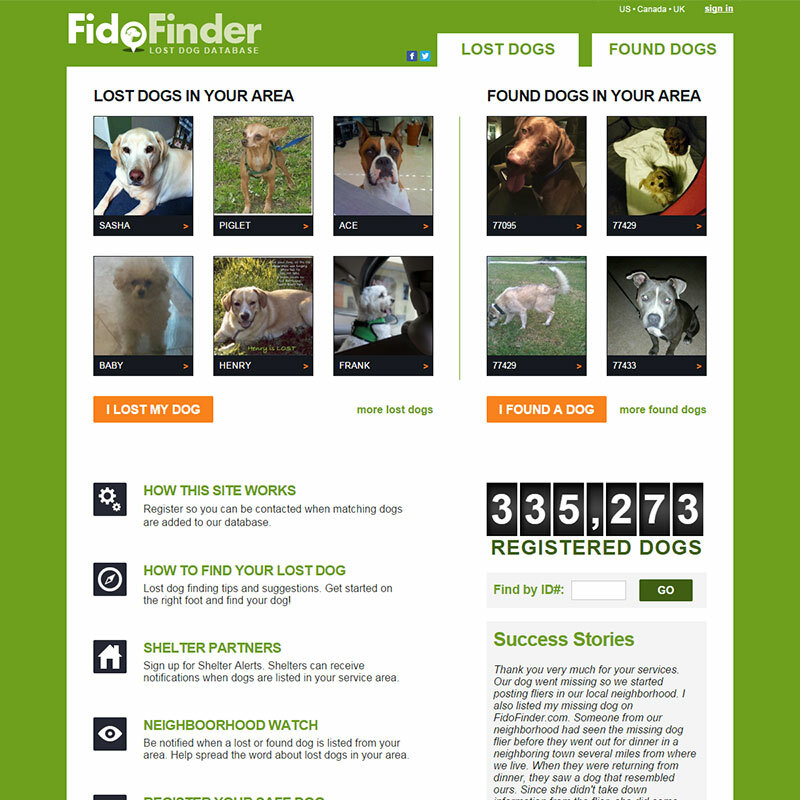 Established in October of 2004 Fido Finder has grown to be the largest public lost dog database online.